The best action of the season doesn’t stop at the finish line on Chamois. Forget an early night in, we’re kicking on at the traditional home of the ABOM Mogul Challenge apres venue – Moosehead – thanks to our friends from Corona Extra. Harkin Banks will be spinning the tunes with some monster speakers we’ve seen him trucking around. This one’s an 18+ event, so no sneaking in the fire exit kids. Location: Moosehead Bar @ The ABOM. Tickets: $20 including 1hr food & beverage package (beer, wine, bubbly) upon arrival. 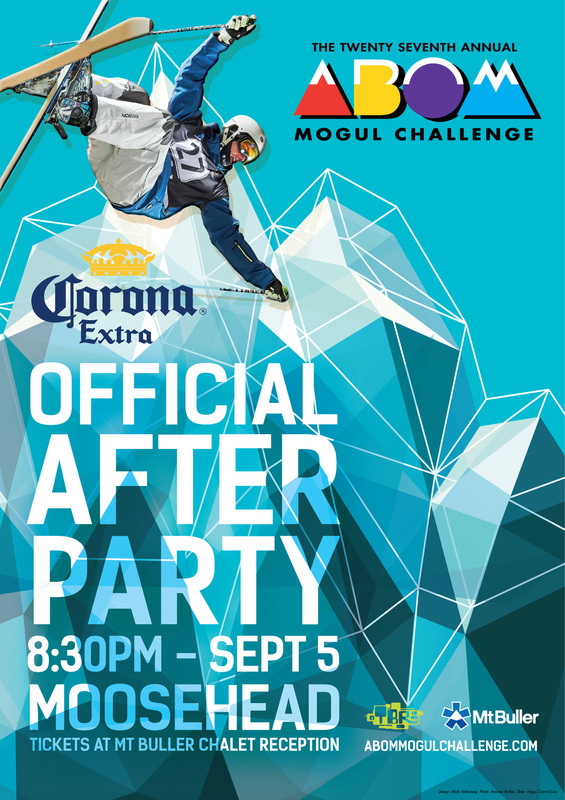 Why: Because you hang out with the right people like Brodie, Britt and the Canadian moguls team. How to buy: Tickets available at Chalet Reception or on the day when you grab your kransky at the ABOM tent, bottom of the course on Chamois.